3:59 De Maxx - Long Player 29 La Musique Fait La Force / N.E.W.S. This is a surprisingly good hip-hop track! This might be 2014's 'F**kin' Problems'. 4 stars are a basement, not a roof. Good enough I suppose, but I'm not swept in by all of the commotion over it. I enjoy the contribution of who I'm assuming is Q-Tip, Busta has his moments, but also some really bad ones, and Lil Wayne is less annoying than usual (and also there so little!). Kanye though - worse than Lil Wayne. There's little here for me overall. sehr guter rap song! alte schule!! viel ruhiger und smarter als auch schon. wie hat busta denn den cleveren q-tip rumgekriegt??? Da ziehe ich das Original von Alicia Myers dann doch vor. Interestingly all the production credits go to Busta and only Busta, despite the strong influences of both Q and Ye's styles on this song, anyway he and Q-Tip are pretty cool on this song and while it seems strange to have only about 3 seconds for both West (not enough) and Wayne (too much). 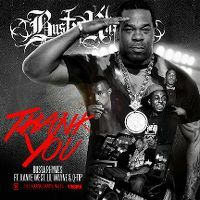 Nice verses from Busta Rhyme & Q-Tip but having Kanye West & Lil Wayne here is unnecessary. Peaked at #52 in Australia, 2013. Jop, aber dieses Gebimmel in der Melodie nervt ganz schön. Die Rapper sind bis auf Weezy sicher vertretbar. Insgesamt Durchschnitt.